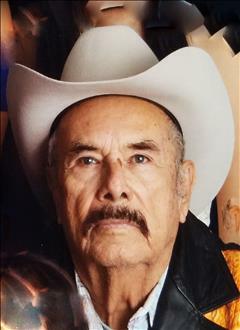 Basilio Camacho, 73, of Olmito, passed away on Wednesday, October 10, 2018 at Valley Regional Medical Center in Brownsville. He was born San Benito, TX to Isabel De la Rosa and Basilio Camacho on September 26, 1945. Mr. Camacho is preceded in death by his parents, Basilio and Isabel Camacho. Visitation will be held from 1:00 PM - 9:00 PM with a rosary at 7:00 PM Saturday, October 13th, 2018 at Garza Memorial Funeral Home. All services will conclude after visitation.